Since 1994, the cycle of activities centred on rice starts with the Gastronomic Campaign of Pals and Rice Cookery which is organised between the Town Council of Pals, the restaurants of the town and the rice mills. The aim of this gastronomic event is to promote and inform the public about the quality of this product so important to the region. 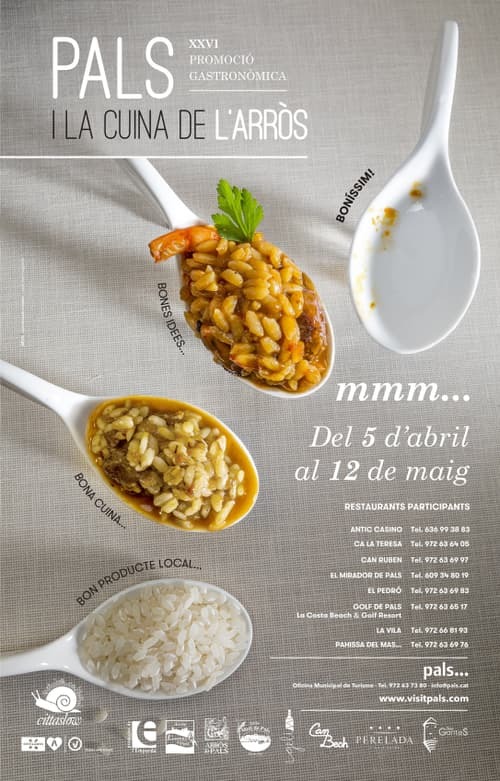 In this campaign, which takes place in the spring, the restaurants of the town that take part offer their clients a menu featuring a rice stew made with Pals rice as its main course, with the starters and desserts that each restaurant normally serves.